The City of Vicksburg is the only city in Warren County. Vicksburg houses over 26,000 citizens in its city limits and nearly 50,000 people live in the surrounding area. 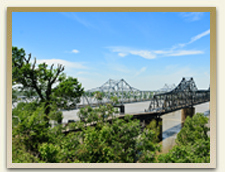 Vicksburg was first incorporated in 1825 and is well-known for its pivotal role in the Civil War. The fall of Vicksburg occurred after a forty (40) day siege that is called a major turning point in the Civil War. The Confederate Armies at Vicksburg surrendered on July 4th, 1863. For that reason the City of Vicksburg refused to celebrate July 4th for many years after the Civil War. Vicksburg is famous for its National Military Park, the annual Miss Mississippi Pageant, and for being recognized as the first place where Coca-Cola was bottled. Vicksburg is also proud to be the home of Delmon and Dmitri Young, brothers who play Major League Baseball. 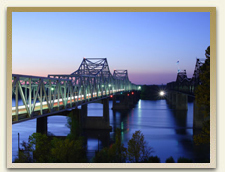 Gaming is a huge source of revenue for the city of Vicksburg. 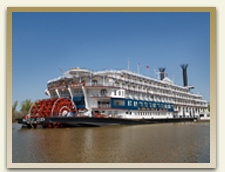 Being situated on the Mississippi River allows Vicksburg to have riverboat casinos and there are plenty lining the river for tourists to enjoy. Citizens of Vicksburg send their children to schools run by the Vicksburg-Warren School District. Both Vicksburg High School and Warren Central High School are located in the area. The City also has several good quality, private Catholic Schools. Attorney Paul Winfield is the current mayor of Vicksburg. The Vicksburg Municipal Court and Vicksburg Police Department is located at 820 Veto Street. Vicksburg is also the home to the Warren County Circuit Court, the Warren County Chancery Court, and the Warren County Justice Court. Vicksburg is unique in that the city holds people charged with a crime in their downtown jail prior to appearing before the Court. If you need help answering a criminal charge in Vicksburg, or if you need assistance answering a legal question, the attorneys at Coxwell & Associates can help you. Coxwell & Associates attorneys consider the practice of law a career and not just a "job". We help people every day, regardless of what time or day of the week it is. Each of the attorneys is a resident of Mississippi, and all are interested in helping each and every client that is accepted by the firm. Coxwell & Associates is not a general law practice. Each attorney has had a diverse career and over the years each attorney has developed areas of practice. Though the attorneys at Coxwell & Associates will not accept every case, they do take the time to assist each and every person who makes contact with the office. Coxwell & Associates has a reputation of being truthful to clients, even if that truth is not what a particular client wants to hear. From Vicksburg the easiest way to reach Coxwell & Associates is to get on Interstate 20, headed east. At the I-55/I-20 split, you will take I-55 North. You will come into Jackson and take the High Street Exit. High Street is one of the two exits used by most people when they come to the Mississippi Fairgrounds and the State Fair. After taking the High Street Exit go to the left and continue up the hill on High Street until you come to State Street. Turns left, and begin looking to your left after only a few hundred feet. There you will see the Historic Clifton-Burwell House, the office of Coxwell & Associates. The yard of the office is typically heavily planted with seasonal flowers and there is a black and white sign out front. As you come to the Coxwell & Associates office turn left on College Street. You will be able to park in the rear of the office. The entrance to the law firm is in the rear. Go up the steps and ring the bell. Our receptionist will allow you to enter and let the attorney know you are present for the appointment. If this is your first appointment you will be asked to fill out a brief information sheet.